The, sometimes difficult to navigate, online permit system remains the same and reservations for October, November and December 2015 will be accessible during the first week of September 2015. Instructions on how to reserve here. The decision to extend free access until March 2016 (it was supposed to be October 2015) has come about because of a curious law in Spain that makes it illegal to charge people to enter into what is basically the countryside. It comes under the same law that prohibits people being charged to walk in natural parks or other protected area. The Malaga council needs a bit more time to either get the law changed or amended in some way to allow a fee to be charged. Officially there are 900 permits available every day with the online booking system having 700 and the two local councils (Ardales and Alora 100 permits each. The latter two give the permits to local businesses such as hotels like the Garganta complex to use for their guests. 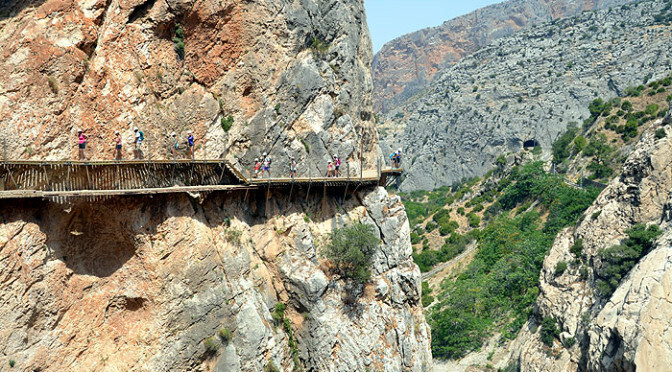 Once charging to enter the Caminito del Rey starts some simple maths shows that around 300,000 euros a year will be generated and the Malaga town council has earmarked the cash for the running and maintenance of the walkway. So far it would seem that Malaga council plan to keep hold of running the seemingly lucrative business that the Caminito del Rey has become instead of putting it out to tender for private companies. Previous PostCasa Sampo added 6 new photos.Next PostThe Vuelta a España comes through our village in Pizarra. So for now we all have to wait… I will publish here and on the facebook page as soon as it opens…..
Its open for bookings now Catalina………. I see that ticket reservations are open now for the next few months, but I see that you can no longer choose the entrance for which to book your visit. It seems that only the north entrance is available, which is quite problematic for me, as I’ll be coming in that morning from Malaga. Can you please advise me what the best way to get to the north entrance would be and how early I can expect to be there? If I get to El Chorro by train, which was the initial plan, I have to wait for about an hour and a half until 12:30 when the first shuttle leaves for the north entrance, so assuming it takes about 30 minutes to get there, and I have to be there 30 minutes before the reserved departure time, does that mean I shouldn’t book any earlier than 13:30? Do you happen to have a better solution for me? 2) Getting a bus to the town of Ardales and getting a taxi from there for the 10 km or so to the entrance. The point would be not to have to wait for the shuttle, but I’m not sure how reliable my taxi plan is. 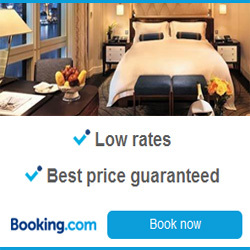 Am I likely to find taxis there (hopefully for a reasonable price)? Of course, with option 2), I haven’t yet found a precise bus schedule from Malaga to Ardales. Rome2Rio says there should be one every 3 hours, but I can’t see to find it. Any thoughts? Again, thank you very much for your help! OK, so I’ve found the website for Los Amarillos and apparently I can be in Ardales as early as 8:45, but then getting from Ardales (the town) to Ardales (the entrance) seems problematic. I can’t find any sort of public transportation between the two, and I’d rather not rely on a taxi, I have no idea if I could find one. So I suppose I’ll go back to the initial plan, taking the train to El Chorro, the shuttle at 12:30 to the Ardales entrance, and book my visit for 2 pm. Where exactly does the shuttle stop at the north entrance? Is it right AT the entrance, or is there some more walking to do? In other words, is 2 pm providing enough of a margin? Also, if I go in at 2, I suppose there’s enough time to do the entire walk and get to the 6 pm train in El Chorro back to Malaga, right? Great, 2:30 it is then. My only concern was not having enough time to catch the train back, but if that’s not an issue, better safe than sorry. Cheers and thanks again for all the good advice!